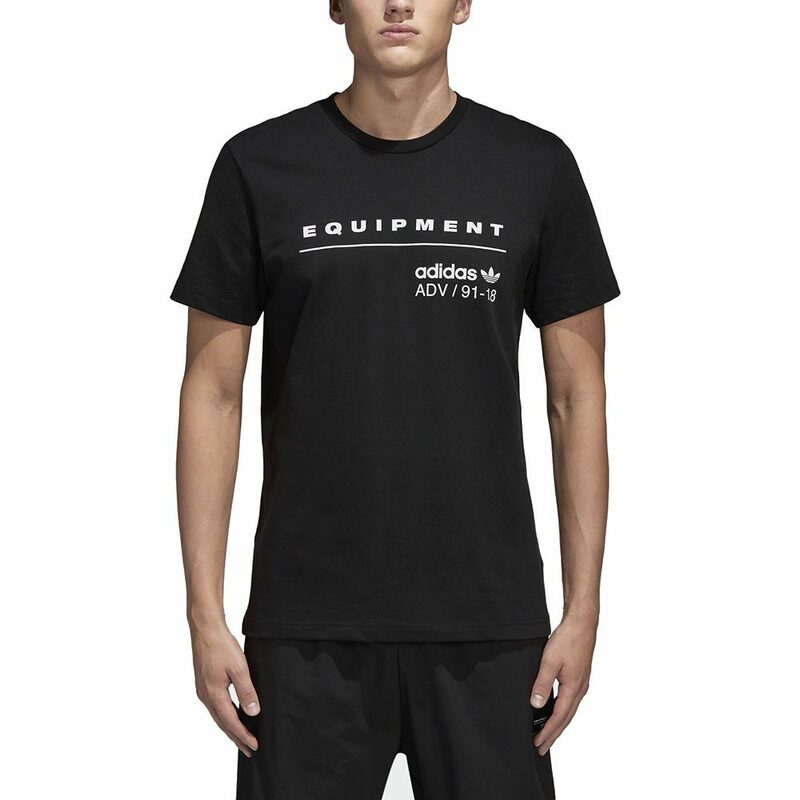 EQUIPMENT ADV BRANDING MAKES A MARK ON THIS TEE. In the ’90s, the adidas Equipment line paved the way for sleek products with a minimalist aesthetic. 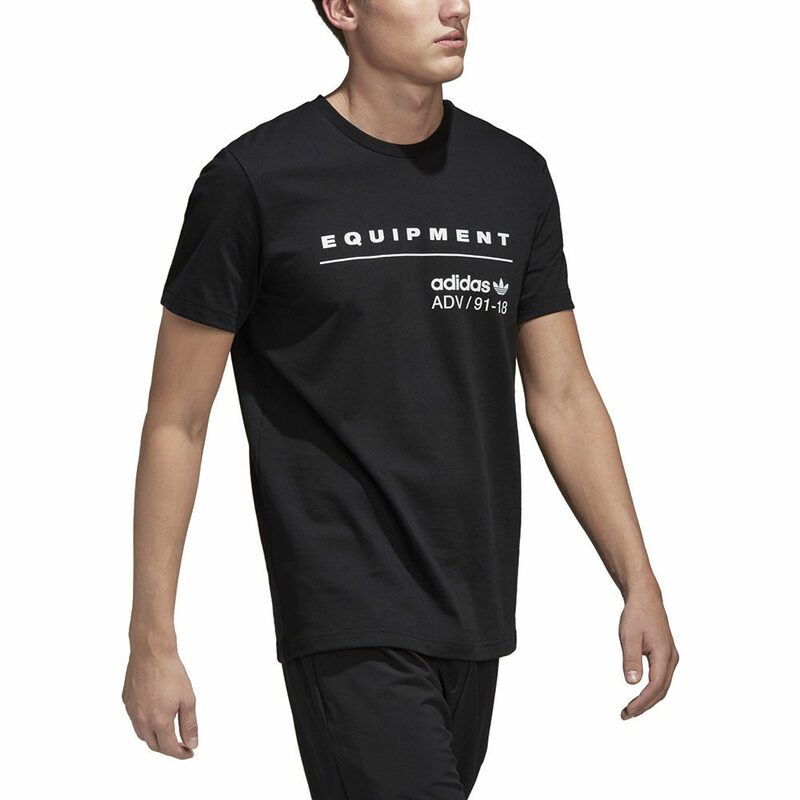 This men’s t-shirt features the iconic Equipment logo on the front chest, while a small ADV badge pops above a hem. 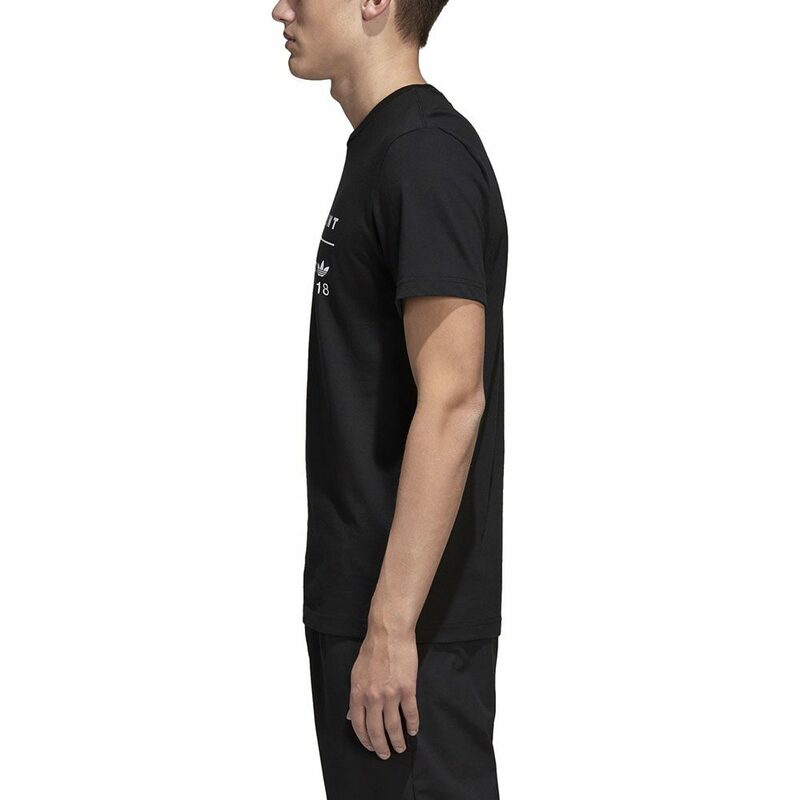 The athletic cut in all cotton looks right for active street style.